This is a luxury safari that will take you to the wonders of Tanzania National Parks. Lake Manyara is known for the legendary tree-climbing lions; Serengeti is a world heritage site and recently a 7th world wonder, Tarangire with its huge concentration of animals, and finally Ngorongoro, the largest unflooded caldera in the world. This tour will have you stay in luxurious accommodation for that well-deserved relaxing holiday. Upon arrival at Kilimanjaro Airport (JRO), you will be picked up and driven to your hotel. This is a free day to relax and prepare for your upcoming safari. If you fancy, you can go around the city for a bit, otherwise, enjoy the amenities in your hotel. Pick up from your Hotel after breakfast and proceed to Tarangire National park. The park gate is located roughly 120 kilometers barely 2 hours from Arusha town. This is the third largest park in Tanzania and it is characterized by the amazingly large herds of elephants that can be encountered in this park. Tarangire is superb in season but questionable the rest of the year. Elephants are the main attraction, with up to 3,000 in the park during the peak months. 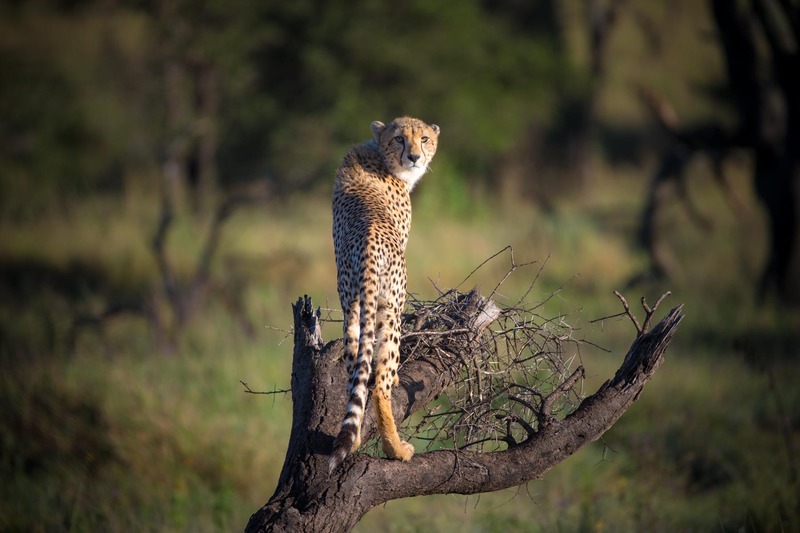 Peak season also sees good numbers of wildebeest and zebra as well as giraffe, buffalo, Thompson’s gazelle, greater and lesser kudu, eland, leopard and cheetah. After breakfast, we go on a walking safari at the park escorted by an armed ranger. In the afternoon, we go on a game drive. Tarangire National Park is a lovely, quiet park in Northern Tanzania. It is most famous for its elephant migration, birding and authentic safari atmosphere. The majority of travelers to the region either miss out Tarangire altogether or venture into the park for a matter of hours – leaving swathes of Tarangire virtually untouched! Depart from your lodge and proceed to Lake Manyara National Park. The park is near the Tarangire national park about 75 kilometers apart. The park’s main attraction are Lake Manyara’s famous tree climbing lions – why these lions habitually climb trees is still up for debate, but viewing a pride relaxing in an acacia tree is a remarkable sight! The park is also famous for its elephant and a huge number of baboons, and its varied landscape supports an impressive range of other game Although small in size, this park is one of the most diverse reserves in the country. Lake Manyara covers two-thirds of the park. At the backdrop is the wall of the Great Rift Valley, before which lies the ground water forest, areas of open grassland near the lake foreshore, and the Soda Lake. We enjoy a picnic lunch in this area. After breakfast, we depart and drive to Ngorongoro crater, which is roughly 60 kilometers from Lake Manyara national park. The Ngorongoro Crater is the best place in Tanzania to see ‘The Big Five’. A healthy population of black rhino and some of the largest tusker elephants left in Africa today are the prize spots, but the crater is also home to good populations of lion, leopard and hyena along with healthy herds of wildebeest, buffalo and zebra. After breakfast, depart for Serengeti National Park via Olduvai Gorge and Visit Maasai Village to learn about their culture. Serengeti is Tanzania’s oldest and most popular national park, also a world heritage site and recently proclaimed a 7th world wide wonder, the Serengeti is famed for its annual migration, when some six million hooves pound the open plains, as more than 200,000 zebras and 300,000 Thomson’s gazelle join the wildebeest’s trek for fresh grazing. After breakfast, we will take your packed lunch for a full day game drive in the wilderness tracking the Great migration trails. Thorough explanation of this great world event will be provided. The Serengeti’s main attraction is the Great Migration, consisting of up to 2 million wildebeest, 200,000 zebras and 350,000 Thompson’s, impala and Grant’s gazelles. The predator viewing here is exceptional with approximately 3-4,000 lion and huge numbers of cheetah, leopard, and hyena. Other animals commonly found in the park include topi, eland, hartebeest, buffalo, elephant, caracal, serval, bat-eared fox, hyrax, genet, hares, porcupine, aardvark, giraffe, jackal, mongoose, crocodile, monitor lizard, aardwolf, many kinds of primates including baboons, vervet and colobus monkeys, and over 500 species of bird. After breakfast, enjoy your morning game drive at the park, with picnic lunch. Transfer to Seronera Airstrip for your afternoon flight to Arusha and proceed to Kilimanjaro airport for your flight Home.